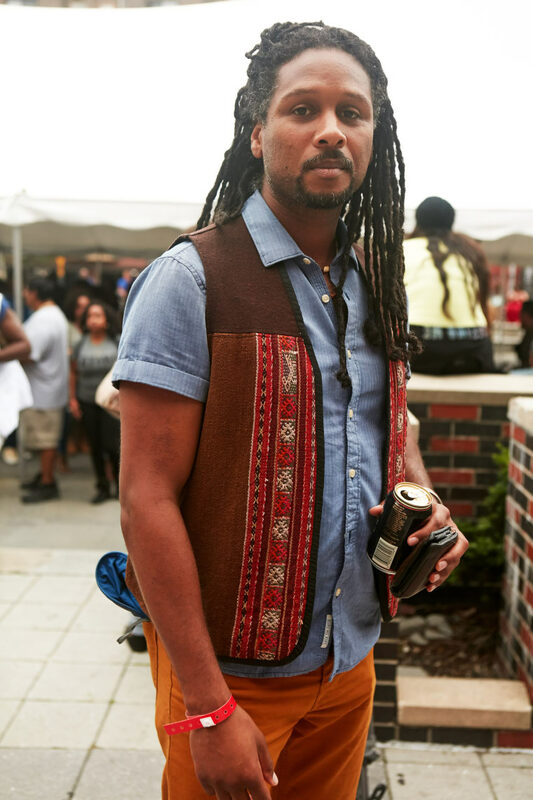 Festival-goers from countries all over the Americas talk about black latinx recognition. 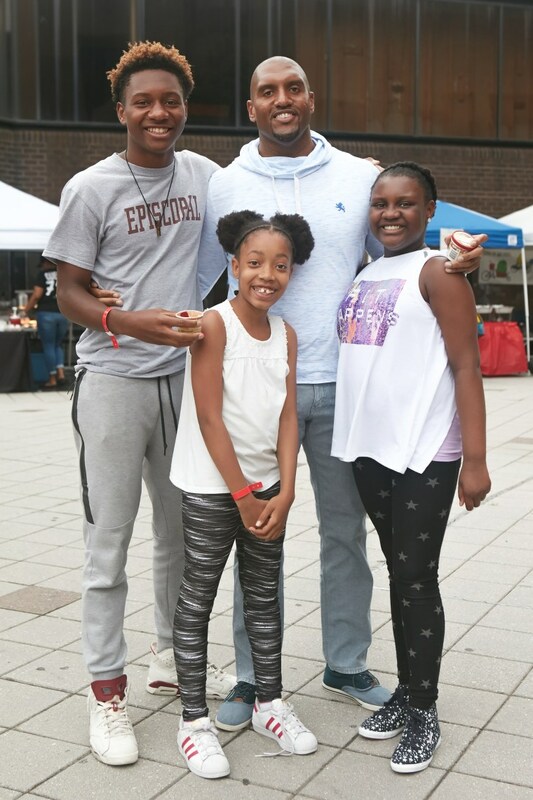 This past weekend was the fourth annual Afro-Latino Fest in New York City, a cultural event aimed at bringing black latinx people together through music, dance, and talks. The festival brought together people from all over the world for a three-day dance extravaganza that featured traditional artists, DJs, and rappers playing showcases all right after one another. 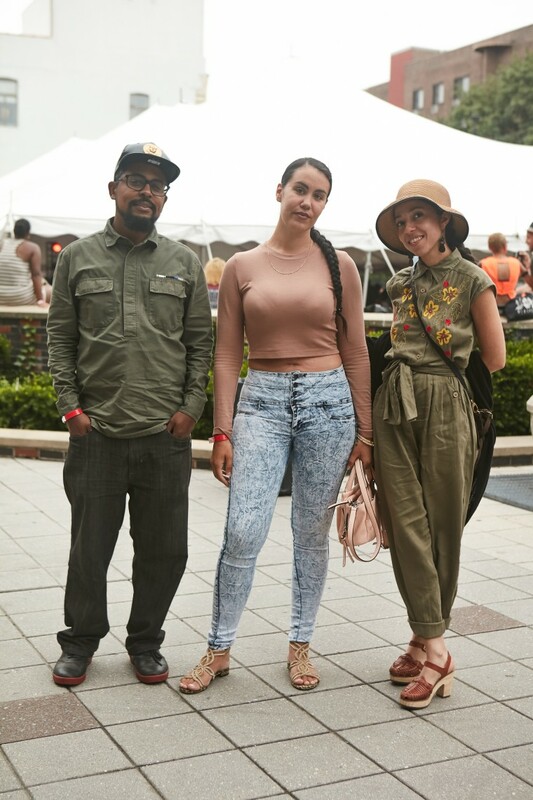 In between sets by Nina Sky, DJ Jigüe and El Freaky, The FADER spoke to some of the people at the festival about why it was important for them to come out and represent last weekend. Here are eight fans on what afrolatinidad means to them. How is being Brazilian connected to afrolatinidad? I consider myself Latina and I also consider myself Black. Brazil is part of Latin America, we were just conquered by different Europeans. Since I’m from Brazil, growing up here I was always torn. Black people would be like, “You’re not from here, you’re from Brazil, you’re Spanish,” and I would be like, “I don’t even speak Spanish.” Spanish-speaking Latinos would say, “You’re too Black.” Something like this, it helps all of us who have that lineage to find that community and that diaspora. Tell me about what afrolatinidad means to you. The legacy of the Afro-Latinos themselves is so vast and worldwide, that it’s great to have community and festivals like this that bring those people and cultures together. I’m Boricua, from the island of Puerto Rico, so this is close to my heart. I think the roots of our culture go back to Africa. Why is this festival special to you? 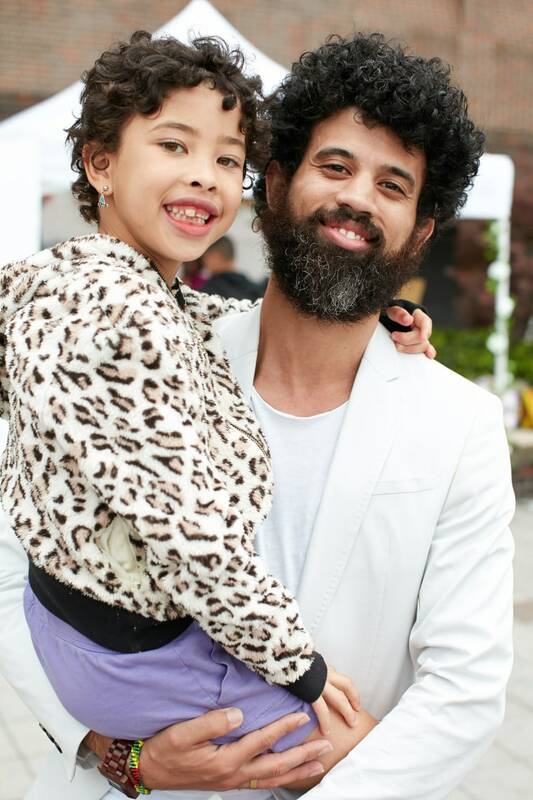 This is close to my heart because my dad is a black Puerto Rican, my mom is a white Puerto Rican, so I'm Afro-Latino and I identify as Afro-Latino. Being here with people of similar backgrounds is always great. Just to see the different colors and shades is always a beautiful thing. How do you feel about this festival today? I like this festival because it's traditional. I have never heard this kind of music before so it's exciting. It means a lot for me to be Jamaican and be here because I get to learn about my country. This festival, culturally means a lot to me. When I was a kid back in the Dominican Republic I used to celebrate my culture with carnaval. Ever since I moved back to the states I haven’t done anything like that, so this is the first time in 10+ years that I have celebrated my culture. What does it mean for you to be Dominican in New York City? To some Dominicans, I’m not the most typical — I’m different. I don’t consider myself typical even though I am really proud of my culture and proud of where I come from. I don’t wear the flag all the time. 5. Touré Weaver, Black "New Jerseyan"
Why did you come out today? I found out about this festival because of Que Bajo's mailing list, but I've been coming for a couple years and going to the different events because I like to hear the music, be with good people, and dance. How do you see the connection between blackness and Latin America? I've spent a lot of time in South America, in Uruguay, Chile, Argentina, Brazil and Ecuador. In most of those places there are pockets of African people. To see the way that music and different parts of the culture emanates throughout different parts of the culture is really cool. I'm just really glad that this has been created. I think it's important that Afro-Latinos have this festival. Probably some of the artists that have influenced me the most, as an artist, are on this bill — Maluca, DJ Bembona, Nina Sky, Princess Nokia. Where do you see the current conversation of afrolatinidad in your community? Honestly, where I'm coming from on Staten Island, that conversation is not had enough. For where I live, I'm not encountering many Afro-Latinos, and that's the truth. I live in a predominantly Mexican and Albanian neighborhood, but I think it's something that needs to be spoken about where I'm from. In terms of having these conversations, we're a little bit behind. Things like this, festivals like this, as an artist, this is something I want to promote on [Staten] Island. As you can see, I am not dark skinned, but I am a Latina. I am Salvadorean, and I have a lot of cousins and family that are Afro-descendent. 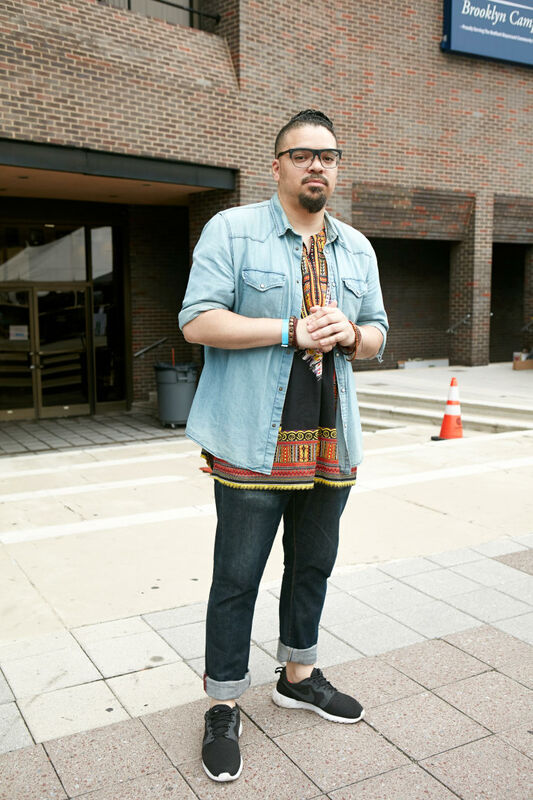 For me, it’s beautiful to see Latinos accepting their African culture. What brought you out to this festival today? I'm excited to hear Nina Sky, Maluca, Tito Puente Jr. I have been to Dominican Republic and Puerto Rico a lot and I am excited to see so many Caribbean Latinos here. Tell me about the importance of having this festival in New York City? This is an opportunity for us to celebrate us as people. 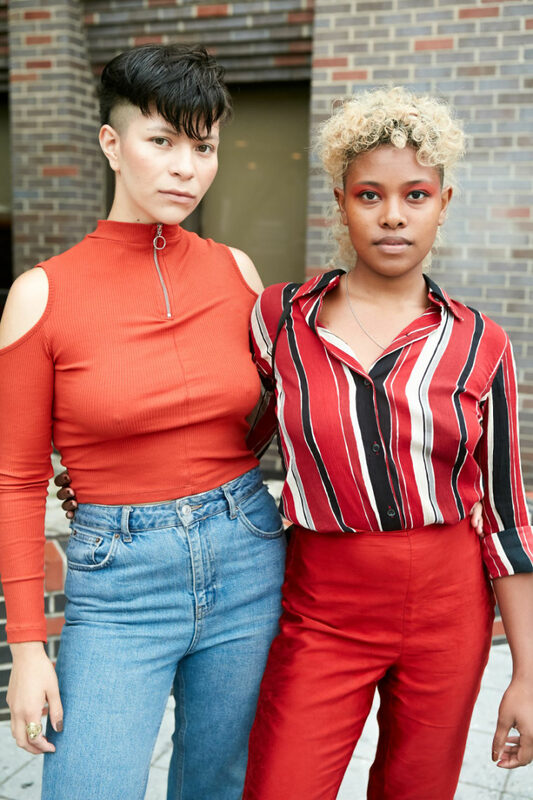 Being able to come together in New York, a community where the Afro-Latino community is big but not a lot of us are all connected to each other. It’s also an opportunity to share music and culture with the rest of New York. It's an opportunity to connect with the legacy. I have a daughter who is seven years old. 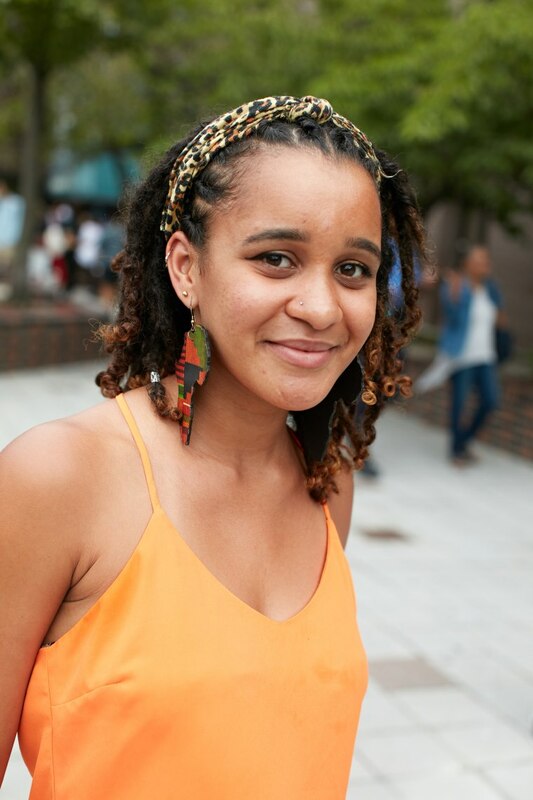 She is Cuban, Jamaican, Sicilian, Black, and there’s a lot diversity in her, and without events like this, it’s a little harder to connect her to the diaspora. Events like this allow me to keep her connected.